It has been a little while since I’ve blogged, as I’ve been busy completing my 8th CD titled – “To Africa With Love“. 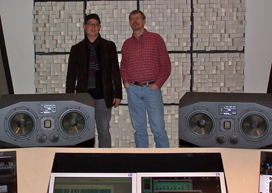 The mastering was completed by Ken Love at MasterMix in Nashville, TN on February 11th, 2010. * “To Africa With Love“ (DVD/Movie Documentary): to be announced after May 11th.